Sundance Airport is honored to be Oklahoma Blood Institute’s preferred hub for its Flights For Life program in Oklahoma, Texas and Arkansas. 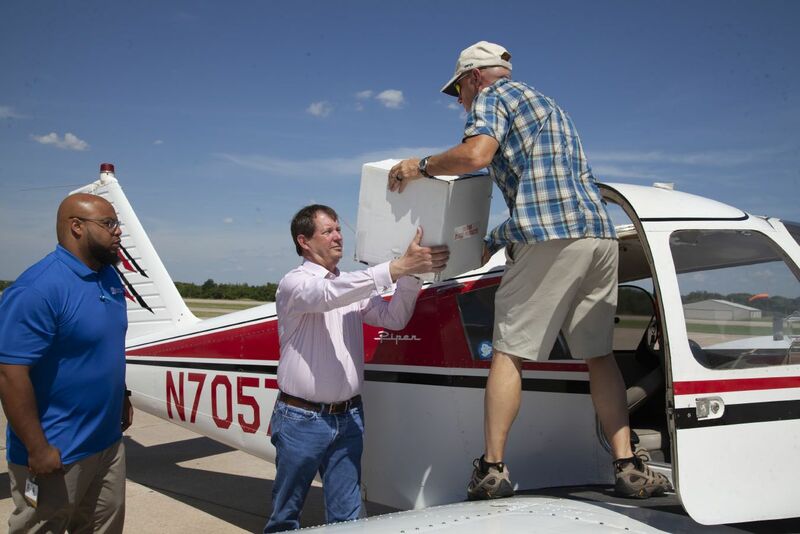 Flights For Life, Inc. is a group of volunteer pilots who support Oklahoma Blood Institute, a 501(c)3 non-profit organization, in efforts to deliver life-saving blood products so that it can be used by patients in need throughout its three state region. Speed equals life and volunteer pilots make that possible! Please consider becoming a Flights For Life pilot. It's a very easy process. Simply, connect with Carvin Brown (carvin.brown@obi.org or 580-350-6150 office), Manager of Inventory Management for the Oklahoma Blood Institute, and he will walk you through each step. Download OBI's information brochure on Flights For Life. Flights For Life is a registered 501(c)3 nonprofit. The cost of operating an aircraft is donated to FFL as a charitable contribution thus is tax deductible. Visit flightsforlife.org for more information, and learn how you can make a life-saving difference for patients and their families. Carvin Brown and Jerry Hunter help load Clark Southard's airplane as he prepares for a Flights For Life mission. 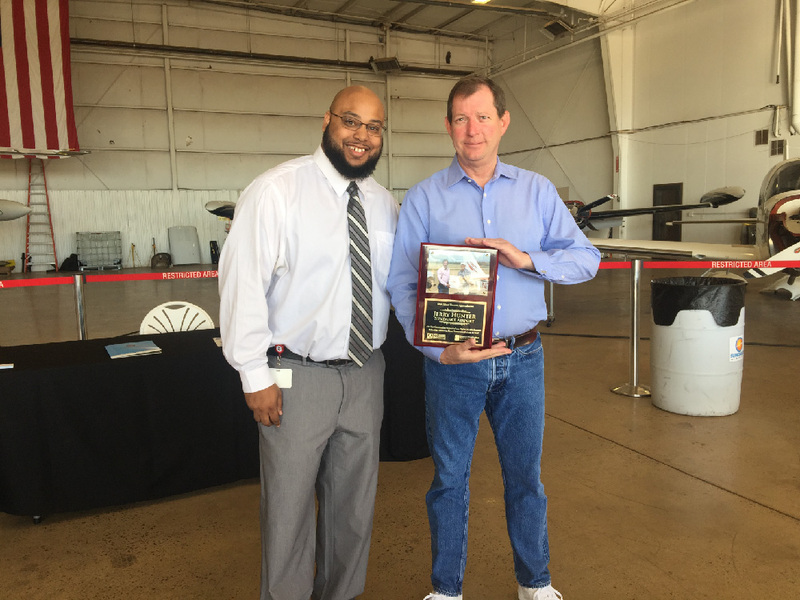 Carvin Brown gives Jerry Hunter an Award of Appreciation for everything he has done to help Flights For Life and OBI. 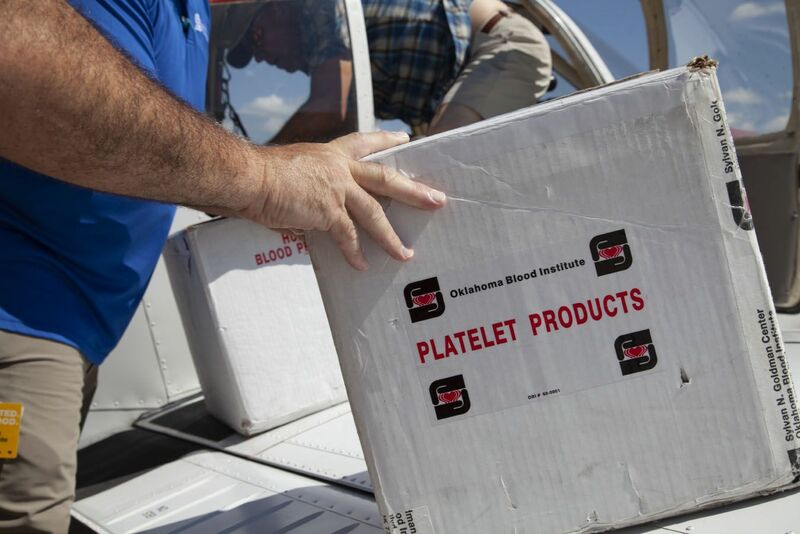 The Oklahoma Blood Institue needs your help to keep the Flights For Life program flying. Please consider becoming a FFL pilot. It's a very easy process. Simply, connect with Carvin Brown and he will walk you through each step.